You’re aware of Summer and Winter. Both are fairly straightforward. Fringe season incorporates Spring and Fall into one as the gear required is relatively the same. Airport season isn’t on a typical calendar, but is commonplace for all adventure junkies and therefore should to be accounted for. The last season is Car Camping, which I fondly call oh-shoot-I-don’t-know-what-to-do-this-weekend-and-just-want-to-be-outside. Let’s talk about the best gear for each. 1. Summer: Less is more. Summer is the easiest season to pack for. Even at far northern latitudes nighttime temperatures stay above freezing, days are longer, weather is less temperamental, and most of the high country is free of snowpack. In short, a lot of the risk is out of the formula. Therefore you can–and should–pack lighter which will help you cover more ground and see more places, without incurring notable danger. 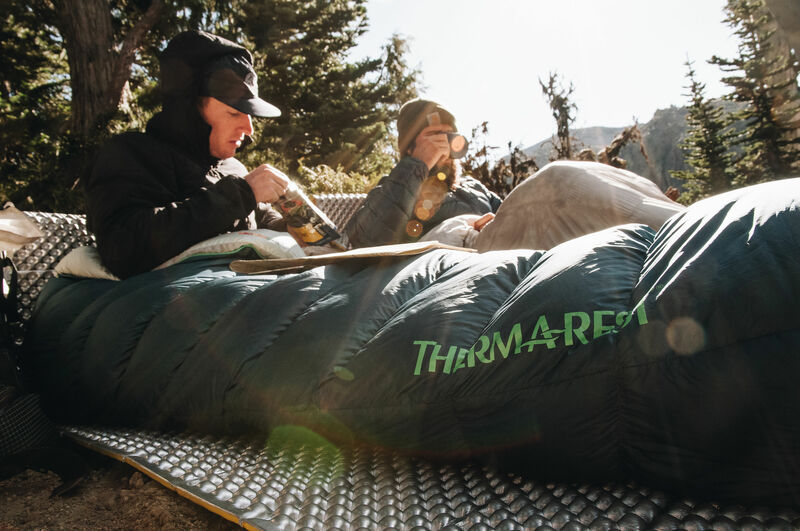 When camping during the Summer months I swap out my down sleeping bag for a lightweight trail quilt and pack the lightest mattress I can find in gear room. I also throw a chair kit in my pack, for hanging out in afternoons and longer evenings. Sometimes I add a hammock, too. 2. Winter: Frostbite is real; insulation is key. Winter travel is challenging for a whole host of reasons–namely freezing temperatures. It also means more complicated navigation, hydration, nutrition, and risks inherent with snow travel. The best advice I’ve received in regards to winter camping is: slow and steady. You want to be warm, but not overheat. You want to snack at regular intervals. You don’t want to cut corners in preparation, travel, or setting up camp, because that’s often when you get yourself into trouble. You want to make pragmatic judgement calls about safety and group skills, which is easiest when you’re not rushed. 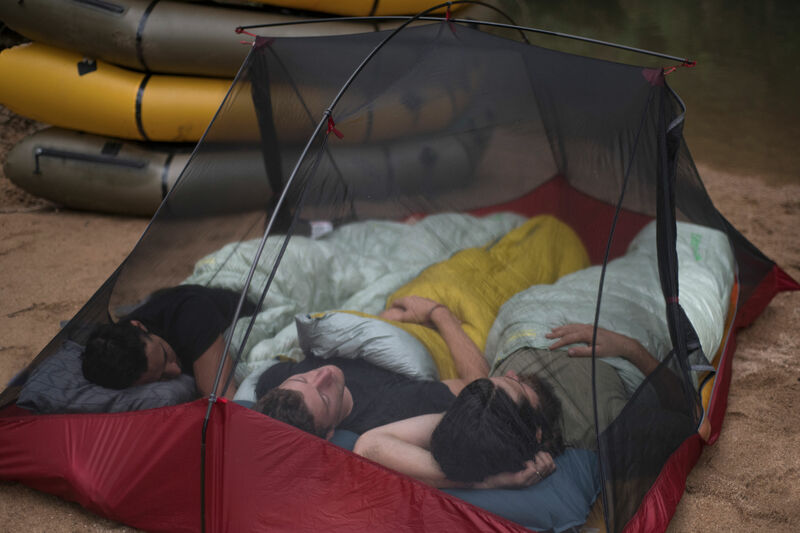 When I head outside in winter months I bring a 4-season sleeping bag and my warmest mattress, knowing that most body heat is lost to the ground, not the air. These have kept me warm in sub-zero temps many times. For short breaks during the day I highly recommend a Z Seat. It’s one of my favorite pieces of gear. 3. Fringe: Variety is the spice of life–and when you learn the most. My favorite time to be outside is the Spring and Fall. Weather is unpredictable, trails are often empty, bugs are long gone, and great sufferfest stories abound. It’s the season of unknown. Sometimes you get lucky and have a burst of warm summer weather, sometimes you get freezing rain. Sometimes you wake up to a few inches of fresh snow, or frost, or hail, or a howling windstorm in the middle of the night. This makes planning and packing more complex, and to me, fun. Fringe season is often when you learn the hardest lessons about what is truly valuable to bring on an adventure and what is not. 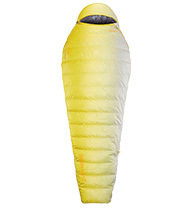 A 20 degree down sleeping bag is often the best choice. 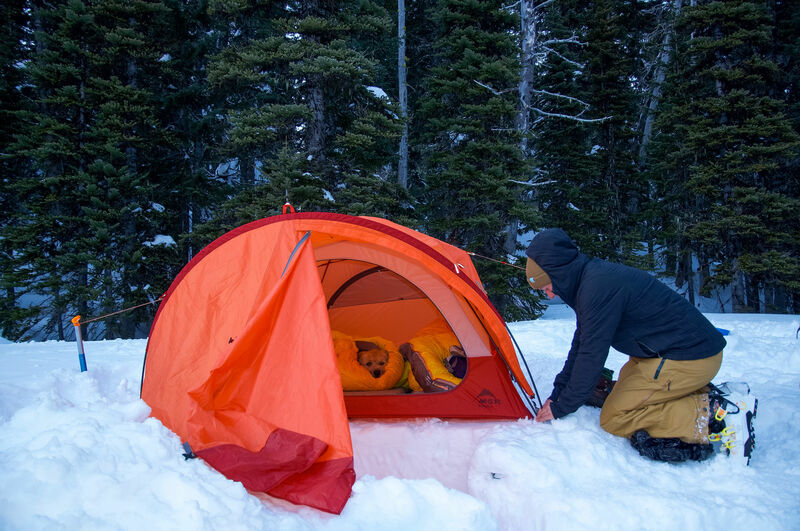 It’s warm enough to get you through cold nights without adding excessive weight to your pack. 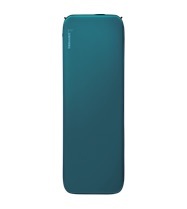 A fast inflating pad is helpful too, for those days when all you want to do is get inside the tent quickly and warm up. If you’re feeling a little gluttonous, why not add in an inflatable pillow to make sure you get a sound night’s’ sleep. 4. Airport: Grab a few hours of sleep, anywhere. Often overlooked for the four sexier seasons, Airport [insert bus stop, train ride, cheap hostel, friend’s couch, rest stop, nap at the trailhead for an alpine start] season is omnipresent for adventurers. Can you get away with not planning for it? Of course. Would you be doing yourself a disservice? That’s for you to decide. 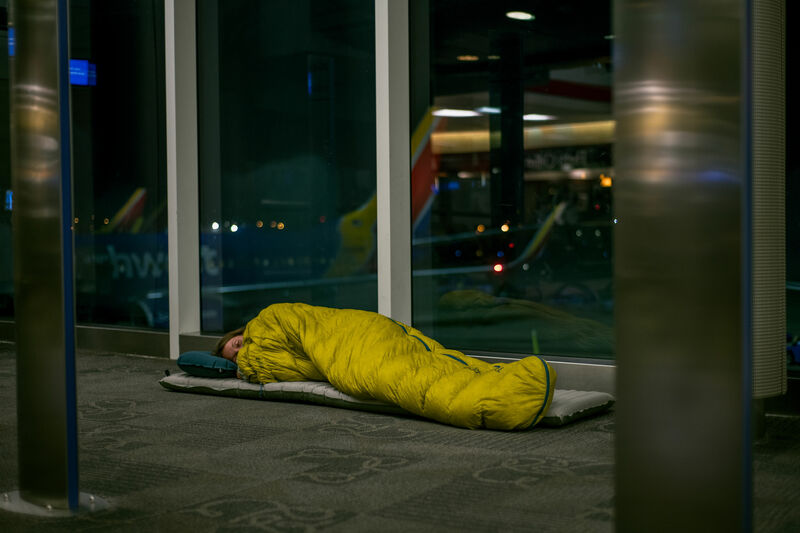 Whether it’s a two-hour nap in between point A and B, red-eye before an epic, or an unplanned night in the airport, it’s good to have the right tools for the job. Beyond a toothbrush and some savvy location scouting, here’s a few recommendations for a few extra hours of sleep. A good, closed-cell mattress that is always ready in a couple seconds is key. 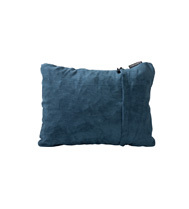 Lay down, throw a soft quilt over yourself, and add a comfortable neck pillow to sneak in a few hours. You don’t need anything else. 5. Car Camping: Enjoy a bit of luxury. Last but not least, the season that exists twelve months each year: Car Camping. Most of this gear can be left in your trunk, box top, or truck bed, making it ready to go whenever you are. This always-packed strategy takes a lot of the stress out planning. It allows you to take off after work and head towards the mountains, without a clue of what you’re doing, and still be comfortable. 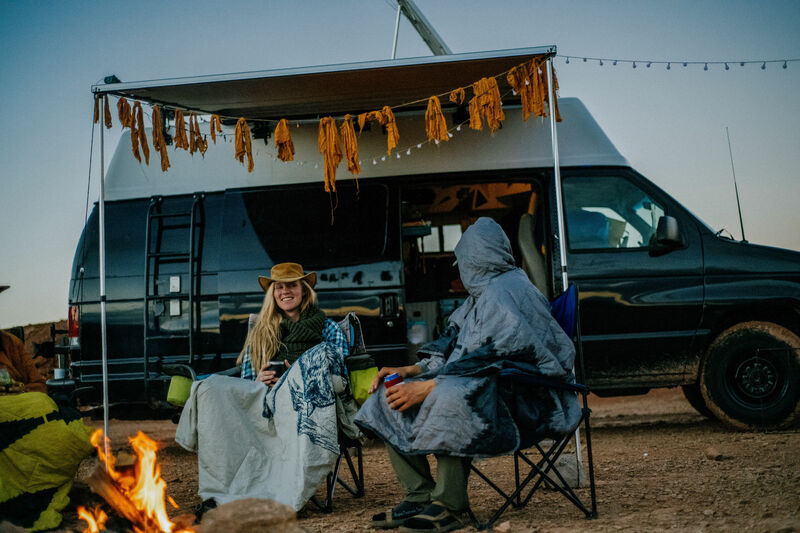 Car camping gear is all about comfortable–weight and size aren’t large factors. While most of this gear is frontcountry-only, it’s still handy to have. Start with a sleeping bag that can accommodate two or go all-in with a two-person quilt. Pad yourself with the thickest mattress out there and throw in a couple comfy pillows. Have some extra room? I always stow a pair of folding chairs in the truck and for large group trips, I add a big tent as well. Andy is freelance writer and photographer who lives out of his Tacoma with his dog Bea. He's a big fan of tacos, long distance running, and keeping things simple.